The world's tallest box hedge is found in a delightful garden. The “box” of a box hedge does not refer to its shape, as one might assume, but to the genus Buxus, which includes dozens of species of evergreens that people have used to create living walls. 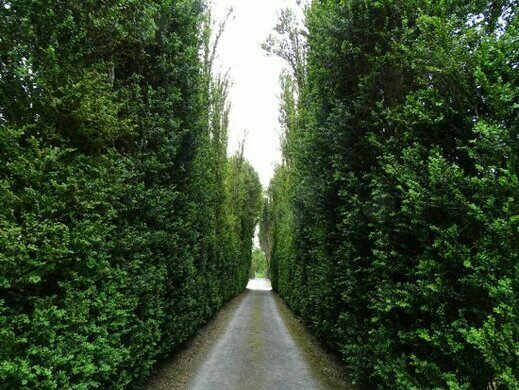 The tradition of shaping box hedges goes back centuries; in Roman times, Pliny the Elder described box hedges grown along pleasant paths. 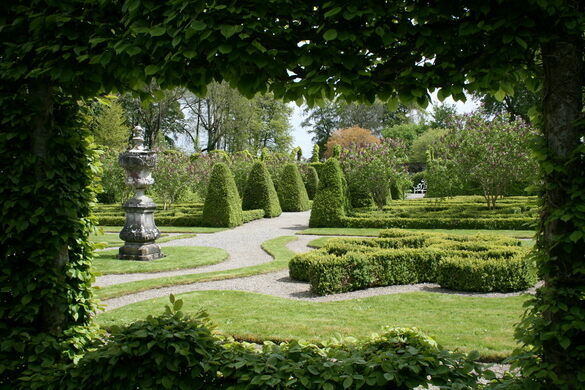 Birr Castle’s box hedge was first planted 300 years ago and, at close to 40 feet, it’s the tallest box hedge in the world, according to the Guinness Book of World Records. The box hedge is part of the castle’s formal grounds, which have been cultivated by generations of the Parsons family, who settled in the castle in 1620. The seventh Earl of Rosse still lives there and pay close attention to the garden, which include a lovely hornbeam cloister walk. The castle also has giant telescope, originally built in the 1840s by the third Earl of Rosse. Behemoth, cannon-like telescope operated by generations of Irish earls. An 1814 castle that hosts an exhibit of "explorabilia".